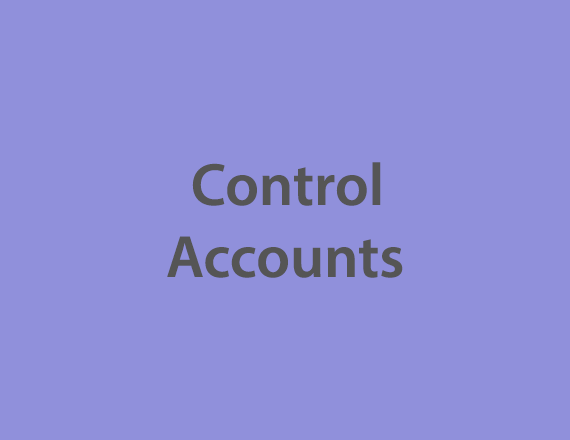 Control accounts are general ledger accounts that summaries’ a large number of businesses. As such they are part of the dual entry system. Control accounts are used to prove the accuracy of the ledger accounting system. They mainly use with concern to receivables and payables balances. The primary objective of the control account is to keep the general ledger free of details and have the correct balance for the financial statements. It can explain via example that the Accounts Receivable in the general ledger could be a control account. If its control account, the company would merely update the reports with a few amounts, such as total sales on account for the day, complete collections for the day, total allowances and returns for the day. The accounts details for each customer and each transaction would not record in the Accounts Receivable control account in the general ledger. Instead, these details of the accounts receivable activity will be in the Accounts Receivable Subsidiary Ledger. It works well because the employees working with the general ledger probably do not need to see the details of every sale or every transaction collection. However, the credit manager and sales manager will need to know detailed information of every customer, including whether a customer reduced their account balance. Any company can provide these individuals with access to the Accounts Receivable Subsidiary Ledger and can keep the general ledger free of a tremendous amount of detail. In control accounts, the typical level of activity is on a daily basis. For example, all payables entered during one day will be aggregated from the subsidiary ledger and posted as a single summary-level number into the accounts payable control account. Posting into all control accounts must be completed before the books can close at the end of a reporting period; otherwise, transactions may strand in a subsidiary ledger. If managers want to see detailed transactional information for accounts payable, they can review the detail located in the subsidiary ledger. Large organisations most commonly use control accounts since their transaction volume is very high. A small organisation can typically store all of its transactions in the general ledger, and so does not need a subsidiary ledger that linked to a control account. Management of fixed assets registers was ensuring adherence to capitalisation policy and Accounting Standards. Processing, summarising various reports for management review. Best Practice you obtain an overview of the most critical components of the controlling system. You receive an introduction to all relevant functions and ¬techniques. You gain insight into how the essential predominant tools are structured and interact. The participants learn practical tips how to implement controlling in corporate practice and obtain implementation assistance through numerous group feedback sessions.